Foxtel has confirmed it will revive axed series A Place to Call Home. 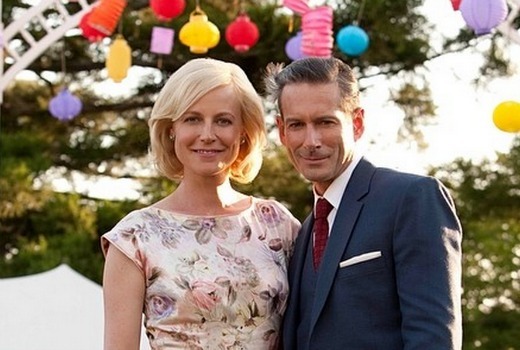 Seven will produce the third season for the Pay TV provider, with the full cast including Marta Dusseldorp and Noni Hazlehurst. It is the first time an axed Free to Air drama has been revived by Subscription TV. Foxtel’s Executive Director of Television, Brian Walsh, said he was alerted to the passionate audience when his sister called him, angry about the Seven axing. “One day I decided to call Seven’s programming boss Angus Ross and we talked about the show a bit more and then I went off to JB Hi-Fi and bought season one on DVD and I watched half of it and thought, ‘This show is just fantastic’. It was TV melodrama at its finest,” he told News Corp. The axing of the show triggered an angry fan backlash, including petitions and a Save A Place to Call Home website. But their passion for the Bevan Lee melodrama has paid off. This week Foxtel officially announces its 2015 programming highlights. News of the show’s revival was first revealed by Fairfax earlier this month. Posted in a second story: not coming to FTA. A Place Like Home isnt a soapie in the traditional sense and those who think it is should look more closely at the classic movies that inspired it-namely ll the films by Douglas Sirk. It is paying homage to an art form in itself. If anything I think the style is a bit too sophisticated for FTA TV. I dont fit the “target demographic” and i was a bit insulted when they were implying that only people over 50 or something were watching (i mean it may be the average) but for me it’s just quality Aussie drama and a great way to get a feel for what it was like back in the day before even my parents were born. Yes, l did watch enough of Wentworth to make that summation Dragon Lass.